You are at:Home»Cruise Tips»Cruise Facts»Dressing for a Luxury Cruise: What Should You Pack? Although we’re huge fans of cruise holidays growing ever more accessible over the past couple of decades, there are times we like nothing more than dusting off the tux, and indulging in a night of ultra-luxury. Celebrating the golden age of cruising, when every night was formal night, and every aspect of the experience was decadent and elegant. This is why the crème-de-la-crème of luxury cruise lines continue to wow guests year after year. With exceptional on-board elegance, delightful food from highly-skilled chefs and the almost omnipresent pop of Champagne corks – luxury cruises are unlike anything else on the seas. 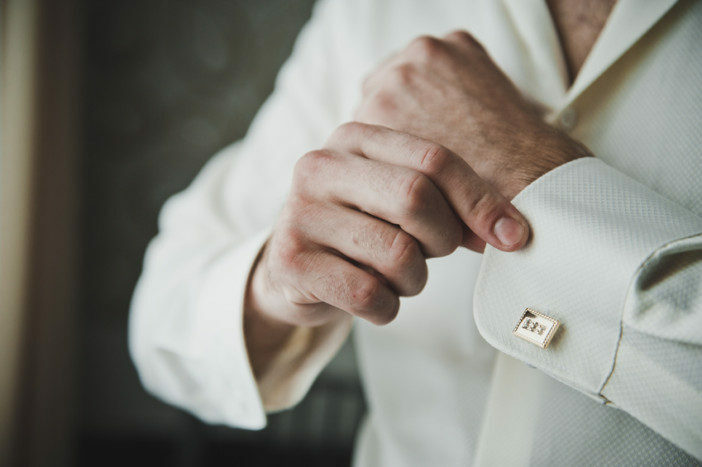 So, if you’re looking to head out on your first ever luxury cruise – and are unsure of the sartorial etiquette on board these exceptional ships, fear not. Here, we have put together a guide for dressing during the day, into the evening and on dry land for the duration of your cruise. We have even separated the list by cruise line – featuring five of our favourite luxury cruise lines – so you’ll pack all the right clothes for your luxury cruise. Specialising in small-capacity ships and all-inclusive packages, Regent Seven Seas epitomise refined leisure travel. Almost all meals and drinks are all-inclusive, giving you more time to think about the evening’s clothing choices. During the Day: Guests cruising with Regent Seven Seas are encouraged to adopt Country Club casual during their days on board. Think sweaters draped elegantly around your shoulders, fitted shirts and soft pastel colours. These suggestions aren’t enforced, however, they’re a mere suggestion to help maintain the line’s elegant ambience. Shorts are not permitted in public spaces after 6.00pm. In the Evening: For cruises of two weeks or under, every night the dress code is Elegant Casual – slacks and collared shirts for men, and skirts, slacks, blouses, sweaters, pant suits and dresses for the women. 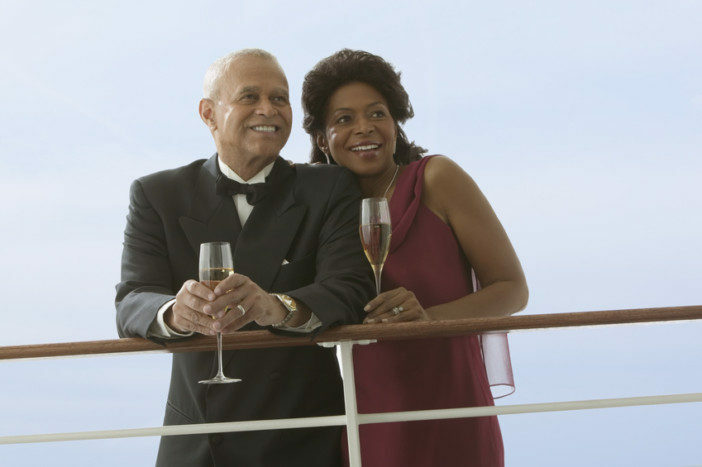 For cruises more than two weeks in length, there will be two formal nights where gowns, cocktail dresses, tuxedos and dinner jackets are required. On Shore: The on-shore clothing suggestions are the same as Regent Seven Seas’ daytime dress code. Country Casual is the order of the day again as you explore the delightful cities the line visits. The two small and intimate ships of the Azamara Club Cruises fleet provide beautiful passage on the seas of the world. Providing longer port calls and overnight stays – Azamara Club Cruises have long been the line of choice for culture vultures. However, there are a number of clothing options which are not permitted in the dining room or specialty restaurants, including tank tops, baseball caps, bathing suits, shorts, and jeans. Bare feet are also a big no-no. Seabourn are well known for their round-the-world 100+day cruises, making it super important to pack accordingly. They also have one of the more in-depth dress codes of the major cruise lines. During the Day: Again, Resort Casual is the order of the day – including jeans and shorts. However, Seabourn are keen to point out that swimming outfits and exercise attire should be reserved for around the pool. In the Evening: Tuxedos, suits, evening gowns and other forms of formal attire are required in the main restaurants. All other dining venues are slightly more casual, with slacks and collared shirts suitable. 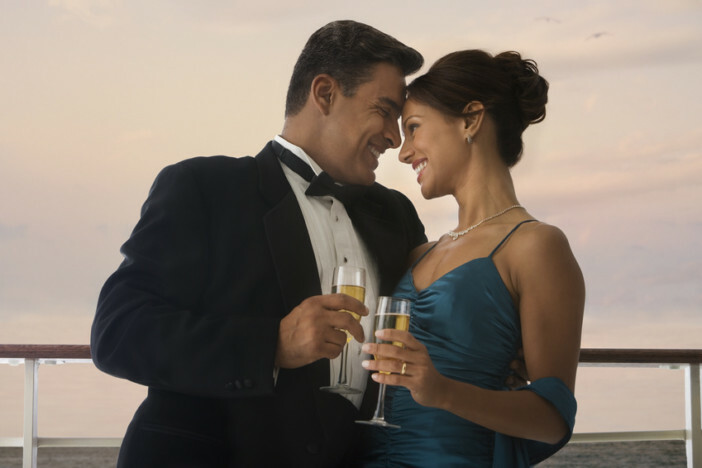 In addition, there are ship-wide formal nights throughout Seabourn cruises. On Shore: The wide variety of shore excursions and ports call for weather- appropriate clothing. From Caribbean islands to the Norwegian Fjords, Seabourn remind passengers to book for the climate and the activities. The world’s largest luxury cruise line, Oceania Cruises operates six amazing ships on itineraries criss-crossing the world. Like Seabourn, Oceania Cruises have developed a reputation for developing amazing round-the-world cruises which can last for up to 180 days. 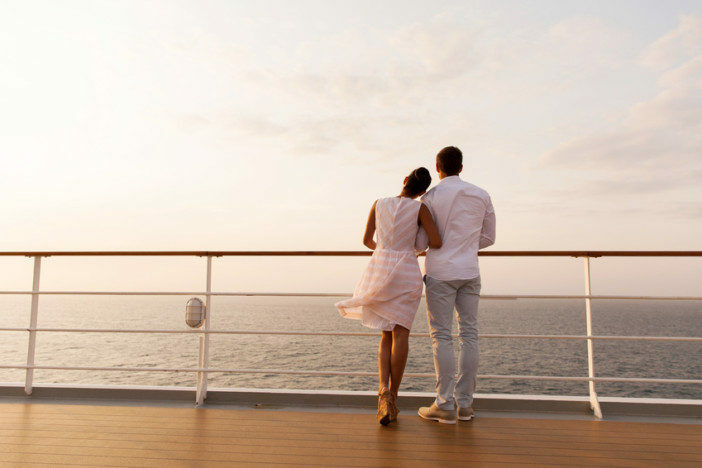 Great news for guests wanting to be as comfortable as possible during these marathon cruises, Oceania Cruises have a much more relaxed dress code than most of the other cruise lines. Throughout the days and evenings, a Country Club dress code is widely observed, think polo shirts and slacks for men, and informal dresses for women. These are a few rules however, to maintain decorum – the line does not permit shorts, t-shirts, trainers and sandals in the following dining venues: Grand Dining Room, Jacques, Red Ginger, Polo Grill, Toscana or Tuscan Steak. A luxury cruise line founded in Monaco, you’d be right to expect a high level of elegance and sophistication from Silversea Cruises. The fleet of nine beautiful ships provide some of the most extravagant and decadent cruise experiences around. During the Day: Casual clothing is recommended by Silversea Cruises through the days spent on board. The line recommends avoiding high heels on the ship, as the movement of the ship and steps found on the decks could prove problematic. In the Evening: Silversea Cruises host three types of evenings, all with their own dress codes: casual evenings, informal evenings and formal evenings. Suggested clothing for the casual evenings consists of pants, blouses, skirts, casual dresses, open-neck shirts and slacks. For informal evenings, the clothing suggestions are dresses and pant suits for women and jackets for men. During the most formal evenings, women are required to wear evening gowns or cocktail dresses, and men are asked to wear tuxedos, dinner jackets or dark suits – ties are required. On Shore: Similar to daytime spent on the ship, Silversea Cruises recommends relaxed and informal clothing. Again flat shoes come highly recommended – so you don’t struggle when exploring the wonderful destinations visited. Now you’re clued up about the fashion choices on board all your favourite luxury cruise lines, now is the perfect time to book your extravagant trip on the seas. For a huge range of deals on board the world’s finest cruise lines, head over to our homepage or call our friendly sales team on 0808 274 6777.